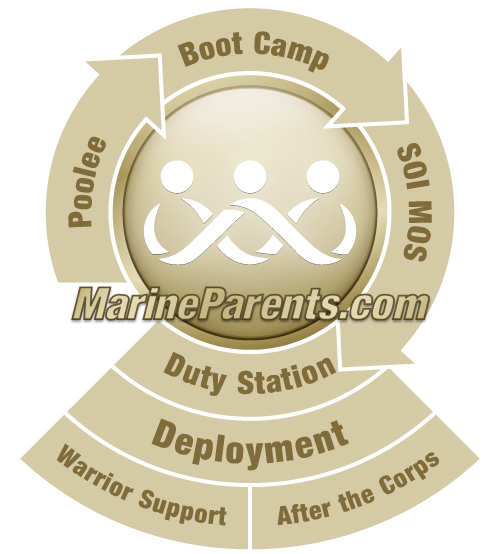 MarineParents.com presents information about traveling to and from Marine Corps bases in the Far East, as well as useful information for family members visiting these locations. Service members and their SPONSORED dependents are authorized for military travel benefits for one round trip from the US to their duty station and return. Although some personnel travel on regular, commercial airlines both ways, the majority of personnel will travel on what is called the "Patriot Express" which is a military chartered flight (using regular commercial airliners) from Seattle-Tacoma airport to Japan, Okinawa, and Korea. There are various schedules. Normally, the Patriot Express flight will land at Yokota Air Base, then either go west to Korea, or head south on the OKinawa route. The Okinawa route stops at MCAS Iwakuni, Honshu, Japan; then proceeds to Kadena Air Base, Okinawa, Japan. Marines and any accompanying family members will go through Immigration and Customs at Kadena. If you are flying commercial, the situation is significantly different. You can fly from basically anywhere, but you will probably end up at either Narita or Haneda in Tokyo, Here you deplane, get all your baggage, and clear Customs and Immigration. Afterwards, you go to the domestic airlines and get on board the flight to Naha International, Okinawa, Japan. Military personnel traveling on orders to Japan or Korea do not have to have a passport. Their military ID and a copy of their orders are the proof that they are in the country legally. They are required to have a passport to travel outside of Japan or Korea, but military personnel in Japan can travel to South Korea on their leave papers without a passport. In Japan, sponsored dependents are required to have a current passport, and it must be stamped, upon entry, with a Status Of Forces Agreement (SOFA) stamp, showing that they are in the country legally and do not have to have a visa. The SOFA stamp exempts them from the requirement to leave the country after 90 days and allows them to work. In most cases, personnel who are not on leave will not be able to travel to other countries because of the time/distance restrictions on travel. Occasionally, trips are organized by military support groups that allow a personnel to travel from Okinawa to Japan or Korea (or the reverse) during a 72- or 96-hour pass, but these trips are conducted by the organizations with the support of the commands. This page was written by MarineParents Volunteer, Jeff James, Father of a Marine.